Want to become a SAP Project Manager? SAP Projects are often known to be some of the most Complex and Challenging Project to Manage and where even the most experienced Project Managers can find themselves in need of assistance. To make you a Successful SAP Project Manager we have created a unique SAP Project Management Training programs which goes beyond what you will get from any other training program available. What will you get from the Successful SAP Project Manager Training Program? The flexible Project Management Training courses I can easily grow my skills while working on busy projects. The SAP Certified Project Management program allowed me to quickly udnerstand the SAP Certifiaction exam. The Project Management Training Courses helped me get my dream job as Project Manager. Ready to become a Successful Project Manager? What are the benefits of being SAP Certified Project Manager? Have a question our SAP Project Manager coach is there to answer any question you might have? 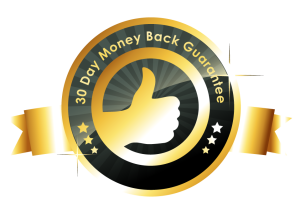 Should you not be satisfied with the course we offer 30 days* full money back guarantee, no questions asked. * If you have purchased the course through a coupon code special terms might apply please refer to the provider of the coupon.